Dimensions: 34.5" Wide, 38" Deep, 36" High. 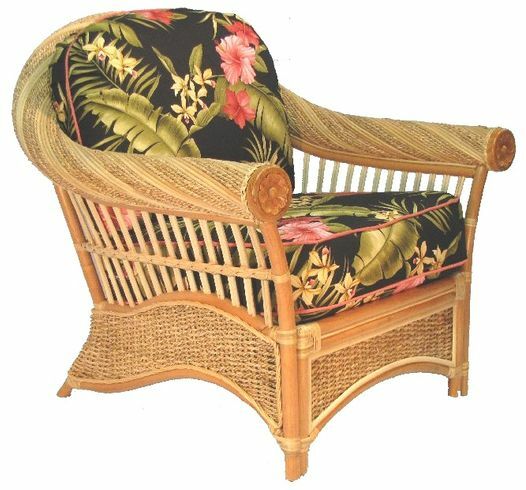 With its floral detail on the arms, "wave" design on its sides and its superb comfort, sitting in the Kona Rattan Chair is like taking a "mini" vacation to Hawaii. You will enjoy its quality in your home for many years. Fabric shown is Hamakua Ebony. 34.5" Wide, 38" Deep, 36" High.